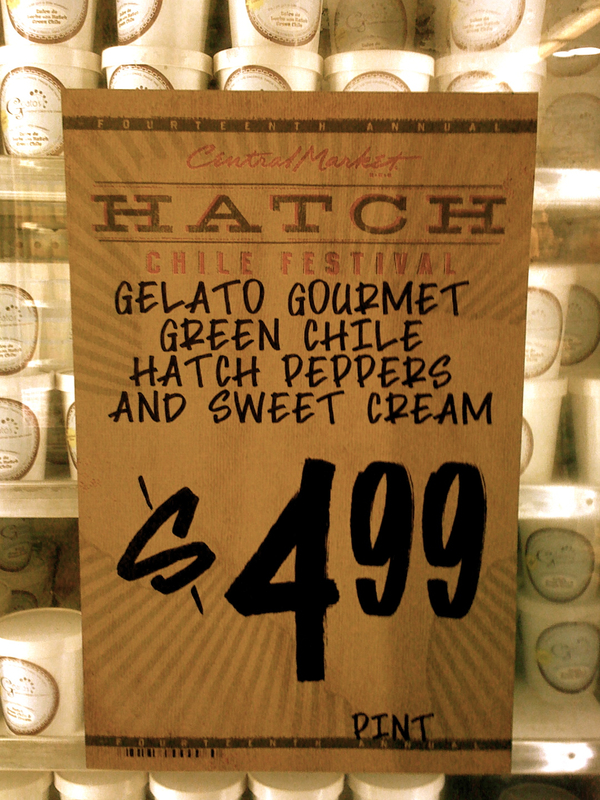 (original image) Hatch (NM) Green Chile Ice Cream from RoundRock (TX). Basically, vanilla Hatch Green Chile ice cream. Very good, only, the pint says, “4 servings per container” and that’s an outright lie. Deceptive packaging. Good ice cream. the sign looks great in sepia, and I’m getting in line for some of that. YUMMY! If you want to wander down my road I’m home. I can’t even imagine what this tastes like! Have a great day! I like the natural sepia of the sign and this is a great shot! Well I guess the ice cream would serve to put out the fire from the peppers. I can’t even imagine what it tastes like! Great find for sepia!